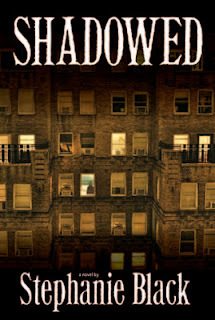 I'm excited today to offer my review of Stephanie Black's latest novel, Shadowed. Stephanie is a four time winner of the Whitney Award, and it's easy to see why. Gifted musician Catherine Clayton was born into a life of wealth and privilege. Now, she’s using the family money to establish a music school and offer free lessons to the underprivileged. Catherine selects Riley, New York, as the perfect location for her new school. Two years ago, Riley was rocked by the brutal murder of elementary school secretary Olivia Perry. Her murder remains unsolved. Catherine receives ominous warnings that Adam Becket is responsible for her death. Unimpressed by the lack of evidence against him, Catherine is drawn to the shy but endearing Adam. When death threats prove the killer is back--and mark Catherine as the next target--Catherine wonders if Adam could really have been involved in Olivia’s murder. Shadowed is loaded with great characters, suspense, and just the right amount of romance. Stephanie Black is a master of keeping the reader guessing right up to the very end. Her characters have depth and believability, and her writing style is clear and easy to read. You get drawn into the story and it's hard to put the book down until you reach the exciting conclusion. The protagonist, Catherine, is strong and smart, but because of her privileged life she's also a little naive. Her personal struggles and flaws bring a nice realness to her character. Adam brings a starkly different element to the story as the man accused of murdering Olivia. I loved the way he dealt with those accusations. The setting of Riley, New York really took on a personality of its own. I have so many favorite parts and plot twists I want to mention, but I can't because it would be a spoiler. You'll just have to stop by Amazon or Deseret Book and get yourself a copy. Then, let's talk! Anyone who enjoys a good suspense novel along the lines of the Mary Stewart classics will love Shadowed. I can't let November 5th pass without saying Happy Guy Fawkes Day! Did you know that some people believe Shakespeare was also involved in the Gunpowder Plot? Happy Guy Fawkes Day! I got an instant reminder of V for Vendetta, the movie. That book sound interesting. Little towns can be hives of secrets that strangers don't know about. Thanks for dropping by my blog, Julie. That book 'sounds' interesting. Too early, need more coffee for fingers. The problem is I always notice my typos the moment I hit the publish button and it's too late to fix them. Grr. i love a good murder mystery. Going to add it to my list. This one is a great read. Just the right amount of romance is my favorite :) I'll check it out on Amazon. I'm always looking for a good book. I'm with you on the romance thing. It always makes a book better. Looks good! I'll have to check it out. It's got great reviews on Amazon (one of which is yours). Great review Julie! It looks like a good book. I haven't read a good suspenseful book for a while now. Thanks Taylor. I love a good suspense novel now and then. Young adult suspense/romance is my favorite genre! This sounds like it's right up my alley. I'm going to go check it out on Amazon right now! I should have been more specific, this is not a YA novel, it's adult. But it's still great! Seriously looks good! i like books like this alot. I might just have to put this on my X-mas list! Julie, thank you so much for the fantastic review! I'm so excited that you enjoyed Shadowed! Thanks for the signed copy! It sounds like a very good book. Thanks for the review, Julie. By the way, I'd love to be a NaNo buddy. Please e-mail me your NaNo name at thewonderfulobsessions@gmail.com. I hope your knocking your Nano project out of the park! NaNoWriMo Success--It Can Be Yours!